Wayne Rautenbach, Head, RCV and Hollard Trucking South Africa, officially launches the Hollard Highway Heroes 2018 competition at a fun-filled function held in Johannesburg recently. The function was attended by transport operators, insurance brokers and a host of other industry guests. It’s on again and this time it’s bigger and better than ever before. I refer to the Hollard Highway Heroes competition which seeks to find the best truck driver in South Africa. Now in its fourth year, Highway Heroes was born out of an initiative by Regent Insurance to train truck drivers and improve road safety and by so doing, to mitigate risk, prevent accidents and reduce insurance claims. When Hollard acquired Regent in 2017, it took over Highway Heroes as a sustainable project. The format for this year’s competition has also changed. Unlike in the past where there was only one winner, there will now be four categories: Tautliners, tankers, tippers and flat decks. Each of these categories will have four sub-categories: long haul, short haul, cross-border and route-specific. 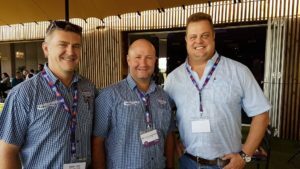 “While there will still be one overall winner, we felt it is better that all kinds of truck drivers have a fair crack at the top spot – and that more of them can win prizes,” says competition manager Paul Dangerfield of the Trucking Centre of Excellence in Hollard Insure, Hollard’s short-term insurance division. 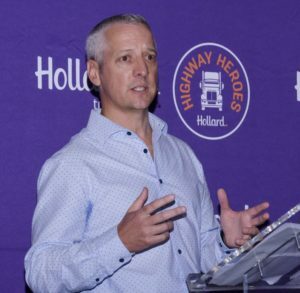 All the past winners got their own billboards at the launch of the Hollard Highway Heroes 2018 competition. This one honoured Themba Vilakazi as the 2015 Highway Hero. Check this out! The overall Highway Heroes winner takes home R100 000 in cash and prizes – a huge 25% increase on the 2017 prize – with the other three category winners each getting R25 000 in cash and prizes. The remaining six of the top 10 entrants each pocket R2 500 and the rest of the top 30 – those placed 11th to 30th – each receive R1 000. Each of the four fleet owners for whom the overall and category winners work, will receive R5 000 towards a special braai for their drivers. This really is a great competition where heart rather than pure marketing ‘gumph’ rules the day. Certainly there are benefits to Hollard Trucking such as a reduction in crashes and therefore a reduction in payouts due to reduced claims. However, since its inception, there has been a purity of intent to recognise truck drivers as the true heroes of the economy – something which FleetWatch has promoted since its inception. It is also designed as a genuine attempt to improve road safety – again, something which FleetWatch has promoted since its inception. It is thus that we are fully supportive of this competition. “Without truck drivers, our economy cannot function. 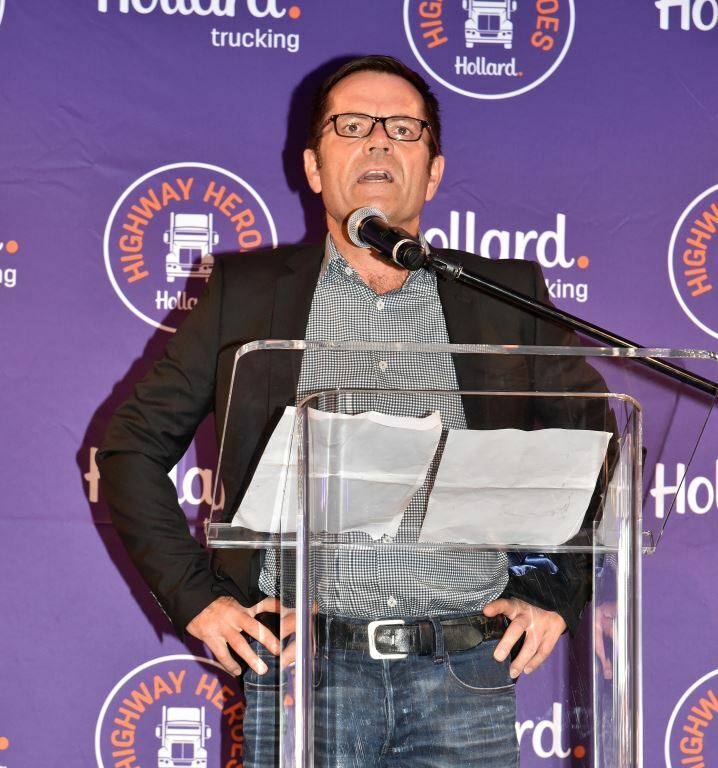 They truly are the Unsung Heroes of South Africa” – Paul Dangerfield of the Trucking Centre of Excellence in Hollard Insure, Hollard’s short-term insurance division, speaking at the launch of the 2018 competition. 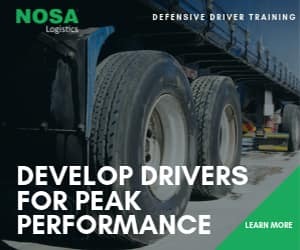 “All too often, trucks and their drivers are seen as a nuisance on our roads, causing hazards and slowing traffic but what is not widely recognised is that these drivers deliver virtually every commodity and product that we need, want and use. Without them, our economy cannot function. Seen in this light, they truly are the Unsung Heroes of South Africa,” says Dangerfield, the man who, along with Wayne Rautenbach, head, RCV and Hollard Trucking South Africa, has driven the competition since its inception. More by coincidence than by design, now that Regent is in the Hollard stable, Highway Heroes also dovetails with Hollard’s Better Futures campaign which promotes the concept that doing good and creating a better future for everyone is at the heart of doing good business. “Highway Heroes is a practical manifestation of Better Futures. Through an initiative that has less to do with selling insurance than it does with making the world a better place, Hollard is doing great insurance business while also making a positive impact on our economy, our roads, trucking companies, their brokers, you, me and, of course, our Highway Heroes: the awesome truck drivers who keep our country going,” says Dangerfield. Click here to see the concept of Better Futures campaign. 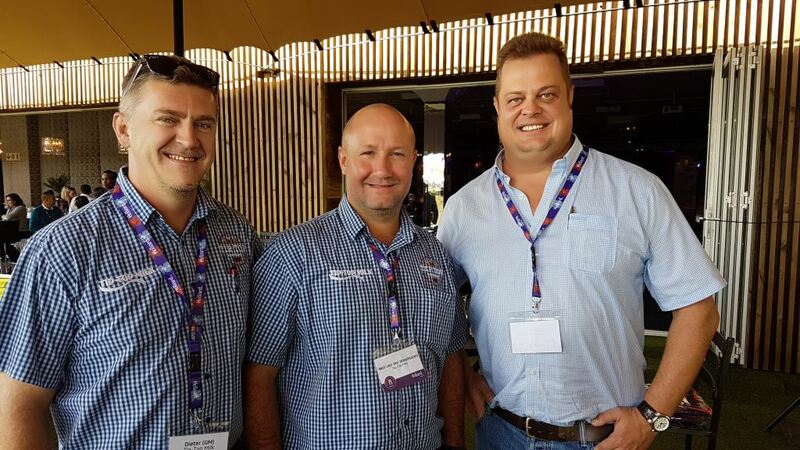 Attending the Hollard Highway Heroes launch function were Dieter Jensch (left) and Neil van der Westhuizen from Tip-Top Milk seen here with Pieter Nel (right) from Libra Insurance Brokers. This year will be the first time Tip-Top Milk will be entering some of its drivers – three from their total driver compliment of 60 – as the company sees the competition as a great value added project for drivers and operators alike acting as a motivational tool for all to improve standards with a resultant positive impact on road safety. 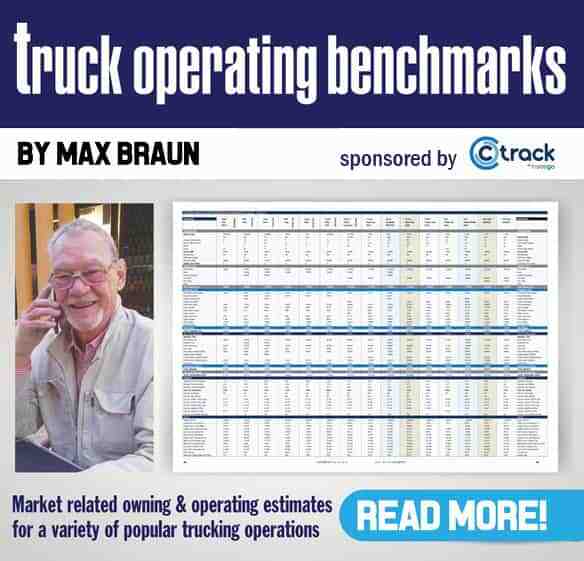 Nash Omar, Hollard Insure’s general manager: broker markets, adds that another aim of the campaign is to take it outside of the boundaries of the trucking industry itself into the wider public arena. “We want ordinary people to look at truck drivers with fresh eyes and recognise them for the Highway Heroes they are. So, the next time you’re out on the road and a truck is slowing you down, remember that you’re following in the tracks of a hero. Give him a friendly wave as you pass him by; this simple gesture will require so little of you and yet mean so much to him,” says Omar. Drivers can enter the competition between May 1st and July 31st. Those entrants who make the final 30 will then have standardised tracking devices fitted to their trucks and be monitored between September 1st and October 15th according to parameters such as speed, harsh braking, fatigue and driving during the day and night – and distance travelled. Further details can be found on the Hollard website by clicking here or, to go direct to the entry form, click here. And now that you know all the details, sit back and relax as you watch the Hollard Highway Heroes Journey in this video. It’s all the right stuff.